The term “access” refers to more than availability. Rather, “access” refers to healthy food that is not only readily available, but is pro-actively offered in some way in a community, is affordable, and familiar (people know where, when, and how to get it). Promotes social capital: Social capital is something that improves the relationships among people who live and work in a community; with access to healthy foods, all members of the community benefit. Promotes equity: Increasing access to healthy foods makes it easier for those at all income levels to eat local, high quality foods. Leverages the assets of 'The Quiet Corner': Our rural region has many farms and agricultural assets both large and small. Protecting farmland is critical to ensuring local food is available and farming a thriving industry well into the future. 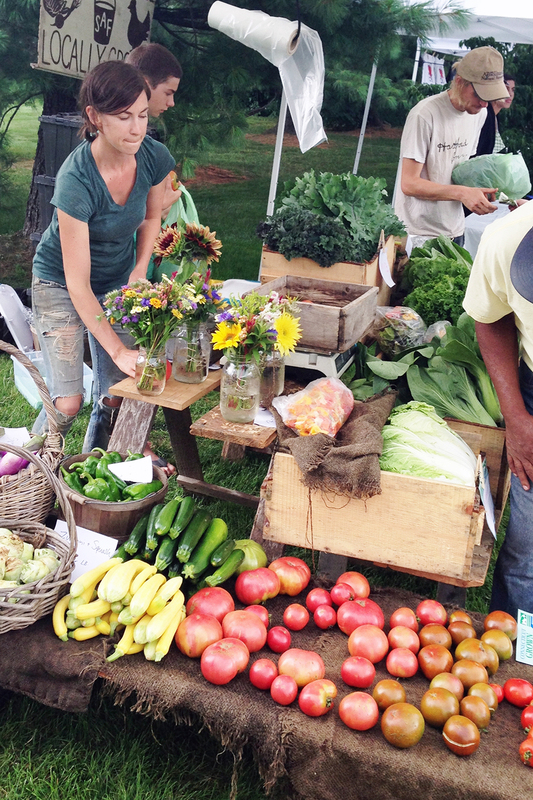 Are farm stands allowed in your community? Permitting farm stands as an allowable activity in the zoning regulations in most zones enables small enterprises to thrive. Do your zoning regulations incentivize agriculture in its many shapes and sizes? Zoning regulations that make all forms of farming allowable, or tax incentives to limit tax rates on farmed land, regardless of size, help foster farm-friendly communities. Connecticut’s Act 490 program: Public Act 490 is Connecticut's law (Connecticut General Statutes Sections 12-107a through 107-f) that allows your farm, forest, or open space land to be assessed at its use value rather than its fair value for purposes of local property taxation. Communities with healthy food options are places that welcome a diversity of food outlets and use economic development strategies to attract them. Designate zones in the regulations where farmer’s markets (larger scale than a single farm stand) are permitted with guidelines for parking, truck access, and other design considerations. Establish a food truck permit program, designate where they are an allowable activity and set standards for parking. Establish design standards and permitting for 'urban' or community agriculture. Specifically permit community gardens, address backyard farming, and keeping of farm animals in the town center or residential zones. Having a variety of retailers within your community - from large chain stores to corner markets - that offer healthy, local food, provides a broader population with access to choice, while supporting the local farming economy. In rural areas where the population density or economic climate acts to discourage new businesses, access to healthy foods can require travel to places with diverse food options, excluding those who are unable to drive or do not have access to a car.